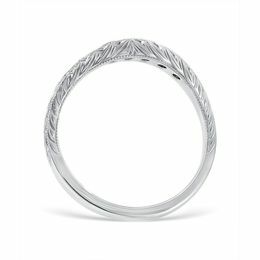 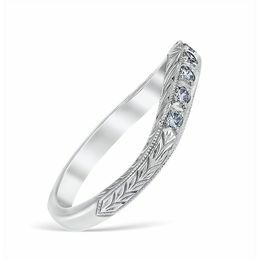 This wedding band features .14ctw of diamonds set into a hand engraved leaf design band. 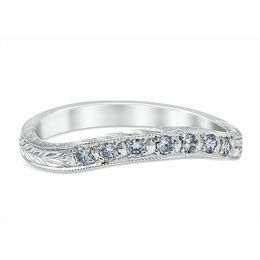 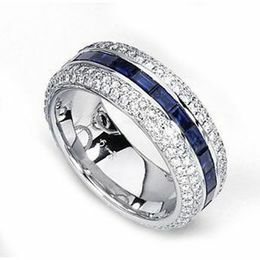 The wedding band design is reminiscent of vintage bands from the Edwardian era. 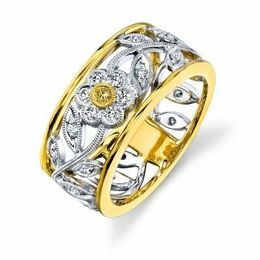 This wedding band is able to be made in 14 karat gold, 18 karat gold, and platinum.